Registration closed on 28.11.2018 11:59 PM. Cancellation (inc. credit/refund) options expired on 27.11.2018 11:59 PM. Category change options expired on 27.11.2018 11:59 PM. Run, walk or sprint – join the exciting Super Sports Run Series and celebrate UAE National Day weekend with fellow athletes. This fun yet competitive run series takes place on the private closed off roads of Meydan with the start and finish at The Track Golf Clubhouse. From social to advanced runners, young or experienced, do the 3k, 5k, 10k or 10 miles (16k). Music, plenty of aid stations and loads of supporters. This is a real community race and is a great family and corporate event with a fantastic vibe and energy. Easy to get to and plenty of parking. 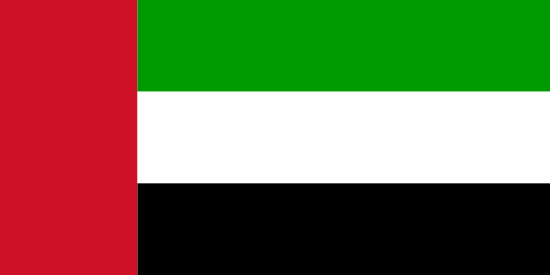 As it is UAE National Day weekend, we are encouraging everyone to pin UAE flags to their running gear, caps and face paint it on, as we celebrate living and running in the UAE. The best dressed UAE runner will win a prize, so join in the fun and celebrate the occasion. You must have checked in and received your timing chip 30 minutes before your race start. Photos: The available race photos can be found on Facebook: Super Sports Events and are posted 72 hours after race finish. Individual photos are not included in the race fee nor guaranteed.